Graham is the Executive Principal of the New Bridge Group, based in Oldham, where he leads a team of 220 staff. New Bridge converted to be an academy in September 2012. The New Bridge Multi Academy Trust (MAT) was formed in September 2014 and presently comprises New Bridge School, New Bridge Learning Centre and Hollinwood Academy. The MAT supports the learning, social and pastoral needs of over 400 young people aged between 4 and 19. In August 2011 New Bridge opened a 19-25 provision, New Bridge Horizons. This is Graham’s third headship after spending over 25 years in the SEN field. He has previously been a headteacher, deputy and senior teacher in five other schools. Graham is the chair of the Special Schools Academies Trust (SSAT) SEN headteachers’ steering group, a network representing the views of 450 special schools across the country. He is a Local Leader of Education within Greater Manchester and is also a member of the national headteachers’ steering group. He advocated for young people with disabilities on the 2012 Olympic group. 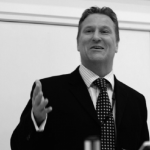 Graham has experience of presenting at local, regional and national levels, particularly on raising aspirations, electronic solutions and 21st century schools. He has a passion that all young people should be able to progress and achieve within excellent, 21st century schools. He fervently believes that young people should be given the skills and attributes to enable them to contribute and participate in communities, and society as a whole.